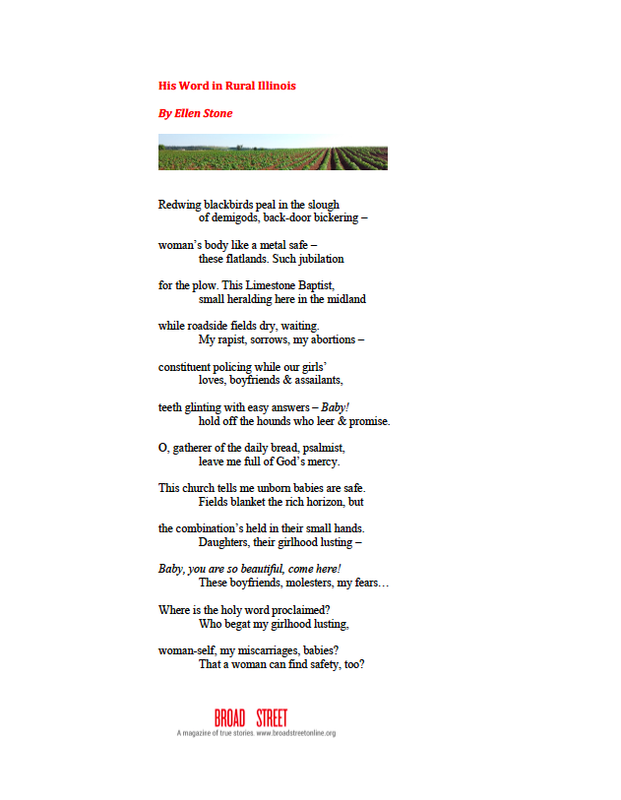 Share This Poem: “His Word in Rural Illinois,” by Ellen Stone. Our “Small Things, Partial Cures” theme continues with a remarkable poem by Ellen Stone. You can download and print a full-size broadside by clicking on the first version below — or scroll down to read in plain format. while roadside fields dry, waiting. teeth glinting with easy answers — Baby! Hold off the hounds who leer & promise. leave me full of God’s mercy. This church tells me unborn babies are safe. the combination’s held in their small hands. Baby, you are so beautiful, come here! Where is the holy word proclaimed? That a woman can find safety, too? This poem is also available, in slightly different form, on Medium. Ellen Stone’s recent poems have appeared in Passages North, The Collagist, The Citron Review, The Museum of Americana, and Fifth Wednesday. 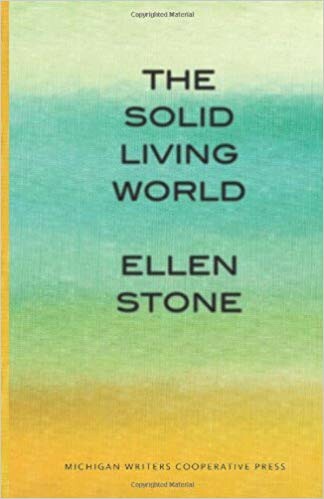 She is the author of a collection, The Solid Living World. Previous postOnline Exclusive: Parsing “The Big Sleep." Three writer-editors annotate the classic noir novel. Next postFamily Laundry: “An Account of a Poor Oil Stove Bought off Dutch Pete,” by Luanne Castle.